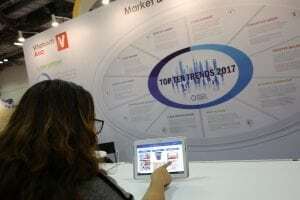 Singapore, 25 September 2017 – Vitafoods Asia, the only dedicated event for the nutraceutical, functional food and beverages, and dietary supplements in Asia, concluded its seventh edition on a high note for the first time in Singapore. Held in the Sands Expo & Convention Centre at Marina Bay Sands, the seventh edition of Vitafoods Asia welcomed a total of 5,067 industry professionals (representing a 113% increase over its 2016 edition) from 62 countries to discover a remarkable showcase presented by 260 global exhibitors from 40 countries across the entire nutraceutical supply chain. The event also enabled trade visitors to learn from over 40 world-class industry expert speakers, who shared deep insights from their wealth of experience. 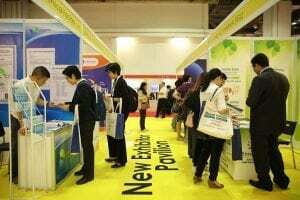 Earlier, Vitafoods Asia’s relocation to Singapore generated a lot of buzz, and the industry was overwhelmingly positive about the move, with expressed approval from exhibitors and visitors alike. 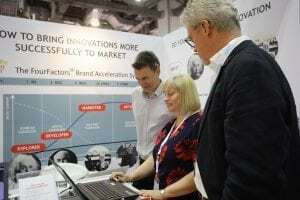 Over the two-day event, attendees had opportunity to uncover the latest raw materials, ingredients, finished products, equipment, and services avai lable in the market. Visitor attractions such as the Inspiration Showcase highlighted exhibitors’ best-selling products and new launches, while the International Pavilions and Omega-3 Resource Centre helped attendees zoom in on exhibitors from a certain country, or with a specific offering. 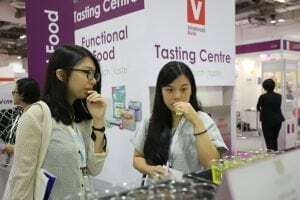 Exhibitors participating in this feature were automatically in the running for the Tasting Centre Awards, where visitors voted for the best tasting functional food and beverage from a total of 37 entries across two categories. OptiPharm Pty Ltd’s Premium Vegan Dairy Free Cheese and TCI Co. Ltd’s Vita-Botanico Liquid Concentrate eventually emerged as winners in the Best Functional Food and Best Functional Beverage Awards respectively. 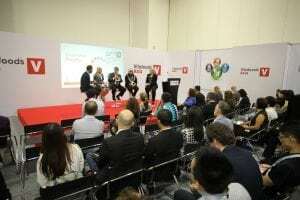 Apart from business opportunities, Vitafoods Asia also offered multiple knowledge-sharing platforms led by the some of the industry’s best minds, covering both commercial and academic standpoints. Collectively, the learning platforms – Vitafoods Asia Conference, Innovation Theatre, and Life Stages Theatre – included content that address business challenge s for a variety of job roles and business types, whether on market entry and access, scientific and technical know-how, or regulatory changes. The eighth edition of Vitafoods Asia will be held from 11 – 12 September 2018 in the Sands Expo & Convention Centre at Marina Bay Sands, Singapore. For more information on the definitive exhibition for the nutraceutical, functional food and beverages, and dietary supplement industries, please visit www.vitafoodsasia.com.